How to contact Woods Wines - "Wines made by hand, not manufactured." Our office address (not open to the public) is 22 Wood Street, North Melbourne, 3051, Victoria, Australia, and we utilise a range of warehousing and delivery suppliers to provide the smoothest and quickest possible delivery. 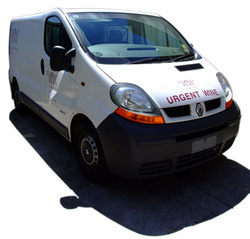 In most cases, if you order before midday Sydney/Melbourne time, we can get the wine to you in less than 48 hours. *A handful of our wines are distributed by others in some states and can not be sold there by ourselves. Talk to us about your options.